Thor sounds like no synthesizer you've ever heard before - and every single one of them. Where other synths use one specific form of synthesis and one single filter, the Thor polysonic synthesizer features six different oscillator types and four unique filters. What does this give you? Simply the most powerful synth ever created; an unstoppable monster of a sound generator that utilises synthesizer technology from the last 40 years. Six open filter and oscillator slots let you load up three different synth filters and three separate oscillators simultaneously, allowing you to dial in synth sounds that are completely...new. An all-powerful modulation matrix gives you complete control over your signal flow, letting you modulate anything within Thor with anything within Thor. Sound deep enough for you? It gets deeper. At the bottom of this synth sits an analog style step sequencer with more than one twist. Being every bit as modular as the rest of Thor's components, this step sequencer does more than just play melodies - use it as a modulation tool, trigger phrases from specific keys, create intense arpeggios, generate piercing percussion lines. 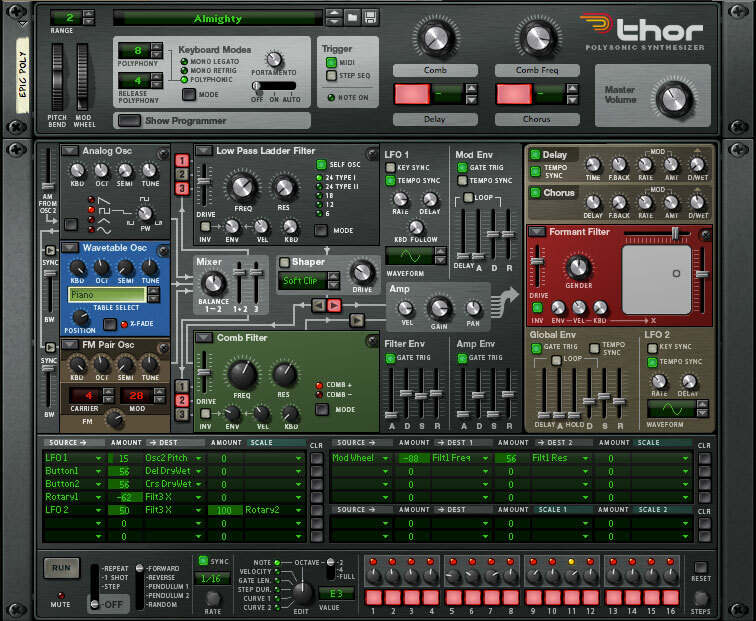 With its unique selection of oscillator types and synth filters, the Thor polysonic synthesizer is a veritable synth museum. But believe it, there's nothing dusty about this instrument; Thor may have one foot in history, but its sound is pure future. 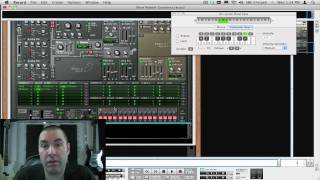 Thor gets its sound from the oscillator and filter types that you can combine any way you like. 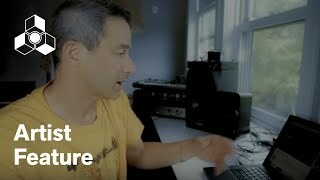 Here's a brief presentation of Thor's sound making and shaping components. Take Thor with you! Thor has leapt from the Reason rack and onto your iPad. The full power of Thor. The same uncompromising sound quality. A killer onscreen keyboard. Thor for iPad is more than a simple iOS conversion. It's a ground-up design focusing on the opportunities of touch interfaces. 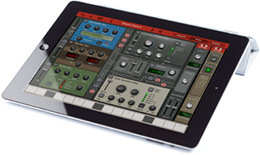 With support for key iPad music technologies like WIST inter-app syncing, Audiobus routing, and external MIDI connectivity Thor for iPad just might be a god among apps too.